Paryska Restaurant is a unique place on the culinary map of Podhale. Our guests will have the opportunity to discover the true secret of the traditional Polish and regional cuisine. Quality kitchen is art. Combined with a spectacular window view of the Tatras, romantic decor, warm atmosphere, and a bottle of fine wine from the hotel's Fritz winery- what more does a sensitive artistic soul need? The delight of our guests is ensured by our chef who prepares exquisite dishes with extraordinary passion and dedication. We use the highest quality products to satisfy the most demanding tastes. When composing the menu, we have taken into account the special needs and expectations of our guests. The restaurant's menu also includes vegetarian and gluten-free dishes. This is a unique and atmospheric place in the hotel. 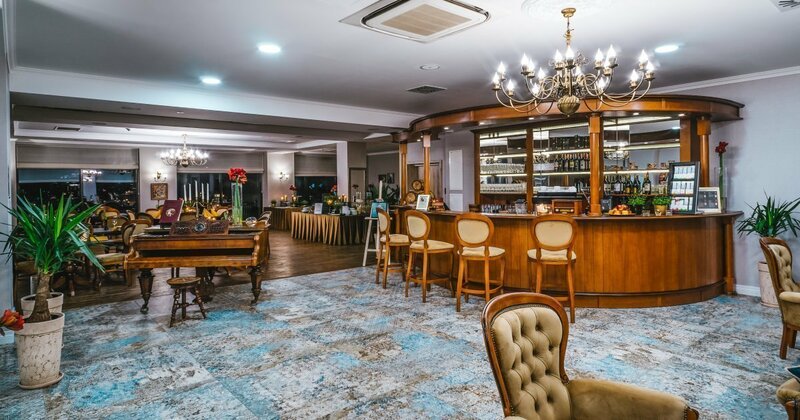 It reflects the character of Zakopane's Bohemia, a place where our guests can enjoy the taste of real cigars with a glass of excellent wine from Fritz winery.